Barefoot sandals are a romantic choice for looking your loveliest even as you walk at the edge of the waves. This understated design with a sparkling starfish connector and a subtle sheen of pearls feels classically elegant with anything from a retro bikini to a cute shorts outfit to a white wedding gown. 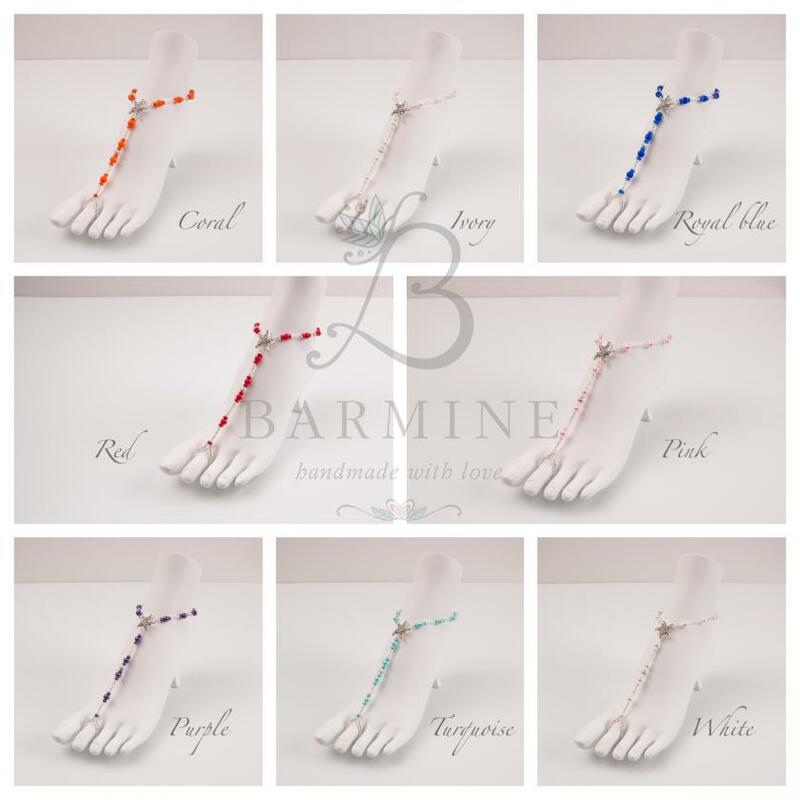 These top-selling footless anklets for special occasions are skillfully hand-strung on stretch cord, giving them a sturdy, comfortable fit that hugs your foot. Quality glass beads lie comfortably against your fit for a graceful final touch!